Christopher Hoare Tree Services Ltd - Garden Services, Tree Surgeon based in Exbury Estate Office, Hampshire. Invoice history based on 980 reviews. Providing a friendly, professional service in the Heart of Hampshire and the New Forest for 15 years. 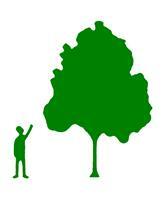 Established in 1998, we are qualified and fully insured to carry out all aspects of tree work. Our friendly professional team of experienced tree surgeons can undertake all aspects of tree care. Catering for any requirement, large or small, domestic or commercial. Our commitment to high standards and good service stretches far beyond the work we do. As a Hampshire approved contractor we aim to gain the highest accreditations within our field to match up with the efficient work we do on a daily basis. We have recently attained our ISO 9001, 14001 & 18001 as well as passing our re-assessment with the Arboricultural Association.